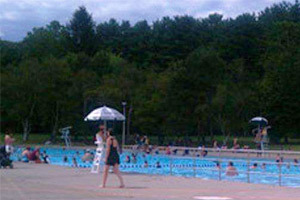 The Victoria Pool and Peerless Pool Complex are two fabulous swimming pool facilities at the Saratoga Spa State Park. The Victoria Pool was built in the early 1930s as part of the fervent health trend that was sweeping the country. The Peerless Pool Bathhouse Complex was built in the 1960s. As the first heated pool in the U.S. (currently not heated), the Victoria Pool has a rich and colorful history in Saratoga Springs. Check out more information, current hours, and directions to the Victoria Pool. A wonderland for kids, the Peerless Pool Complex features three different pool areas including the Main Pool, Kiddie Pool, and the Water Slides! Check out more information on the Peerless Pool Complex in Saratoga Spa State Park. There is no fee to use the Peerless Pool. Please note: All opening and closing dates are weather permitting and are subject to change without notice.